Two years ago, we took the time to educate you on The Most Effective Forms Of Advertising In 2016 and how they can make your restaurant, bar, or chain, get on the map. We’re proud to bring you another segment about 2018 effective advertising methods to create a stronger strategy to get those hungry tummies in the door of your establishment. In our 2016 blog, we provided you with some methods that will power up your digital marketing strategy. 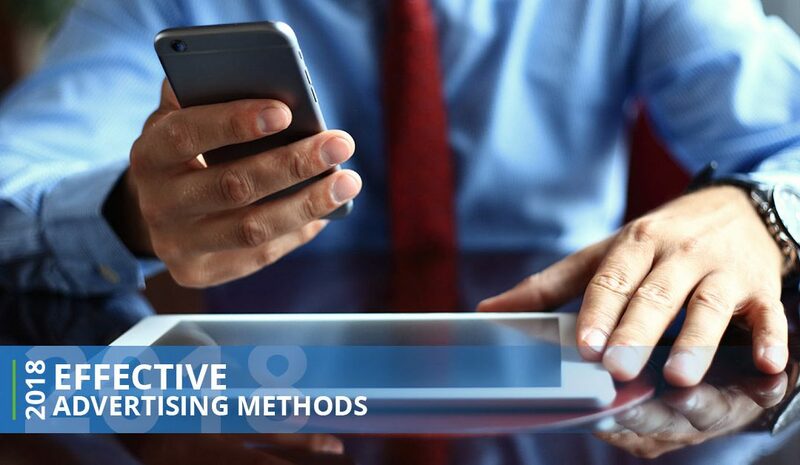 While each of these methods is a great way to set up your strategy for effective advertising, we want to provide a few more that will ensure you have the desired result for your restaurant, bar, or chain. Digital flyers and postcards are one of the many services we offer and can be the most beneficial. Not only are you saving tons of money by not going with paper, you’re about to cut down your lead times by at least four weeks. For print, the lead time can be up to 12 weeks and with digital, you can expect to get it by two weeks. In addition, digital flyers make it easier to track your potential clients and know who is interested in stopping into your establishment because you have their email and name. Social media is one of the best ways to get the word out about your restaurant, chain, or bar. Facebook ads will help you build your audiences and target specific interests. Visitors to your site may be looking for restaurants that have great offers, a website that is easy to navigate, and online ordering. By implementing tracking with these methods, you’re able to ensure your customer base wants to continue visiting your venue because of what you’re offering. Mobile coupons are some of the most important because of how quickly they reach the masses. The bottom line of mobile coupons is how it will improve your restaurant, bar, and chain. You can create unlimited coupons for a great price without having to use any paper, which costs you money. In addition, the coupons can be personalized to your audience, so they meet the criteria that your customers want to draw them in. Text message marketing on our platform is made for low and simple cost for the restaurant, bar, and chain owners. Text message marketing reaches 90 to 95 percent of subscribers in the first 15 minutes. These hot offers will be seen as quickly as you send them and they will plant the idea of stopping at your establishment due to the deal or the pictures you send in your text. What’s neat about text message marketing is how efficient and effective it is due to the direct response you send to your customers. Guest WiFi will help you get the results you want from the foot traffic coming into your establishment. It provides you with information on what your customers are looking for and helps you put together a list that will ensure they are satisfied with what you have to offer. Additionally, you can gather information utilizing WiFi solutions that are effective and bring the cost down for your restaurant, bar, or chain. Do you want to effectively market your restaurant, chain, or bar? Let’s get started!